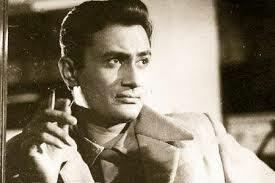 In the same year as Awaara was released in 1951, Guru Dutt's debut movie Baazi starring Dev Anand released. 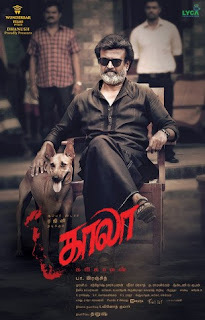 Its amazing to see that Indian cinema could handle a similar story ( man taking to crime due to circumstances) with two completely different directorial stylizations. Baazi was India's answer to Hollywood crime noir , very much evident from the close up dark lighting contrasted with cigarette smoke and the adherence to the principles of noir - cynicism, fatalism, and moral ambiguity. I dont think anyone can pull off noir without having the main actor who looks the part. This is where Dev Anand comes in. Dev Anand had that flair, the kind of debonair looks that could really make him the person who can flirt with a fellow passenger even though he may be married. He could really look ambiguous, this is what Vijay Anand exploited in roles like Jewel Thief and Johnny Mera Naam later. Given the competition he had from Raj Kapoor and Dilip Kumar , he was 'cool' by a margin enjoyed by Modi vs Rahul Gandhi. Although CID comes close as the movie that had a more complete noir experience than Baazi, its the glimpses that Baazi gives that makes it my choice. For instance Amitabh's baritone was not over exposed to us till Agneepath made it the focus of the movie. Similarly Dev Anand's mannerisms especially the nod is in millimetre mode , not the multiple inches it became over the course of his career. Similarly the presence of Geeta Bali playing the bar dancer without ever coating it with overt sexuality or remorse, wish Anushka Sharma had watched this movie before Bombay Velvet. The movie has more cigarette smoke than Delhi's roads. Movie tells the story of a small time gambler who rises in a crime syndicate controlled by a mysterious boss with two heroines. In this scene, Dev Anand who has taken to gambling to gain money to buy medicines for his sister, finally realizes the identity of his mysterious boss. He does a good trade gaining money for keeping his mouth shut , but not really committing .. Look at how he has the brief interaction he has with Geeta Bali the dancer in the bar her worsk, look at how he says ' Filhaal' 'Filhaal' in that inimitable style.